Perth Pest Control has, for many years, had an active involvement in supporting charitable institutions in Western Australia. 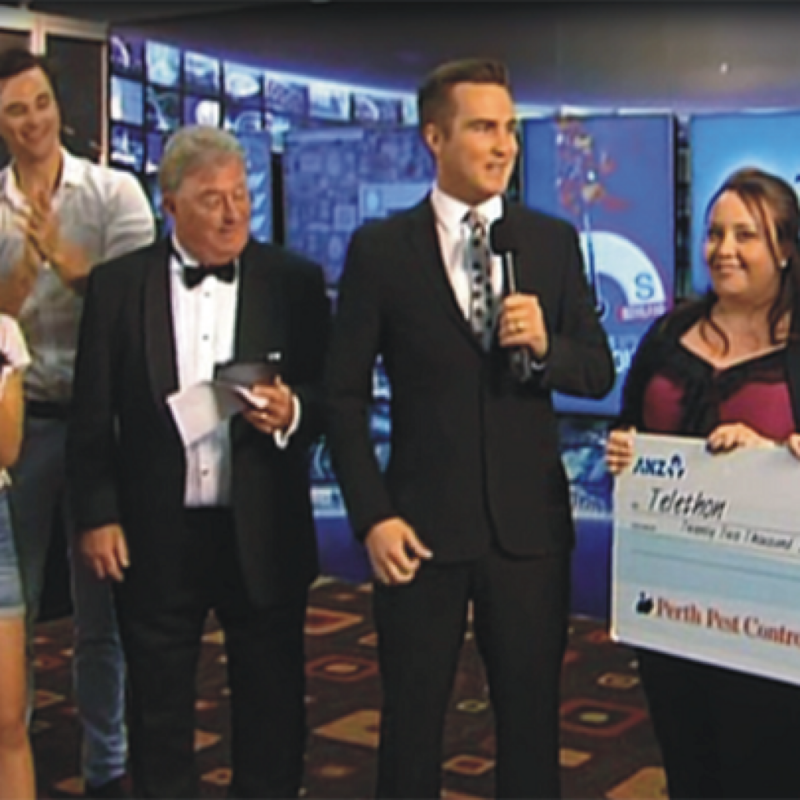 To this end we are proud to commit a percentage of ALL pest control work we undertake to the Telethon Foundation every year. 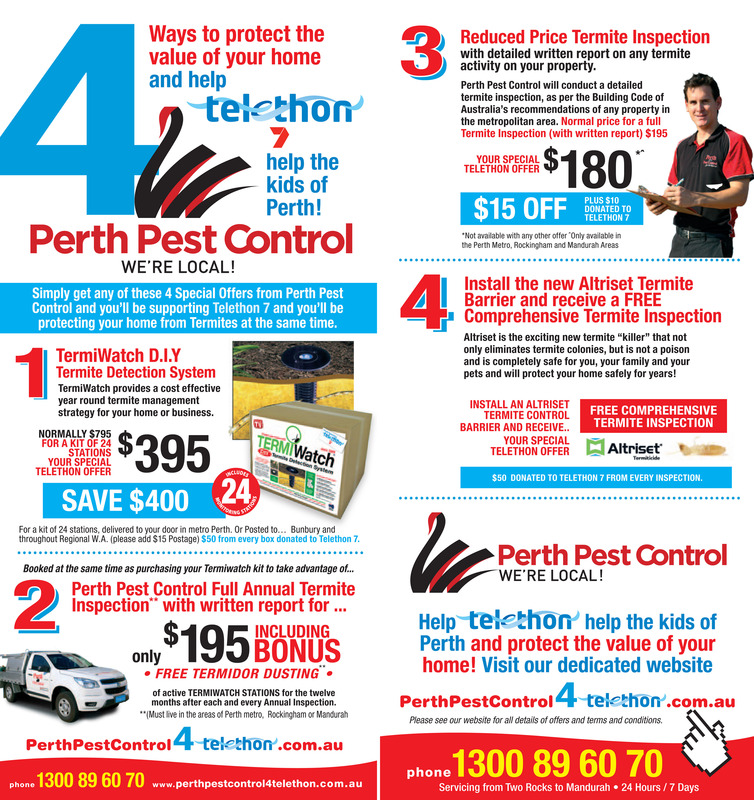 As a family of 6 healthy siblings, we at Perth Pest Control know the valuable services the foundation provides to children in our state and so, in a small way, we look upon our efforts as a way of giving back to our community. Would you like to help Telethon? 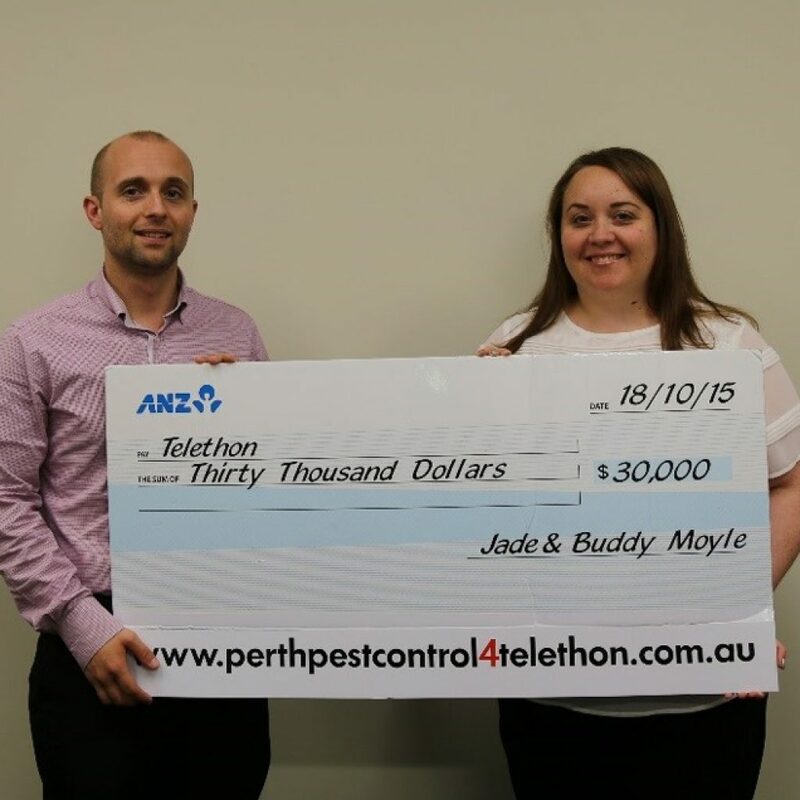 Charity work has always been an important facet of Perth Pest Control’s operations. 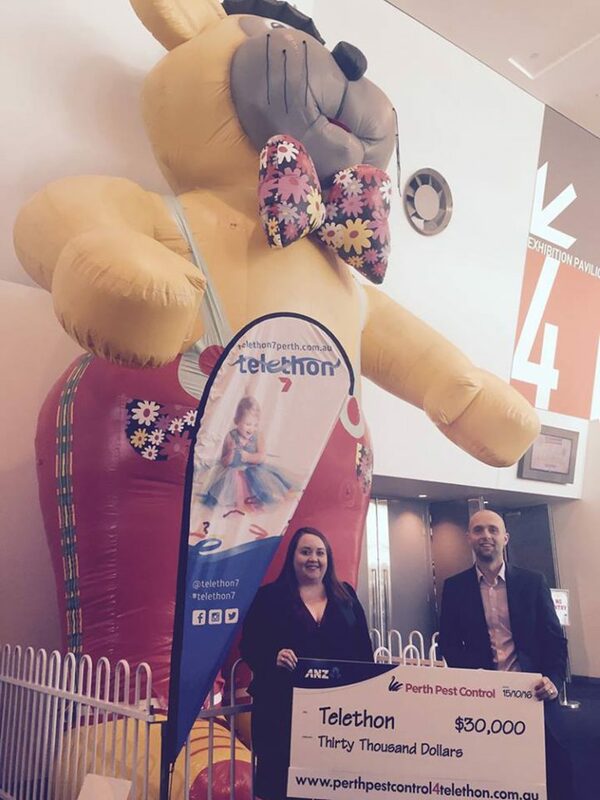 Each year we donate to Telethon a portion of every job performed and will continue to do so as we acknowledge the important work this foundation provides. 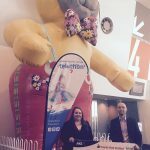 Perth Pest Control also supports other charities including The Clontarf Foundation, Esther Foundation, Head West WA, The Shopfront and Majestic Calisthenics. 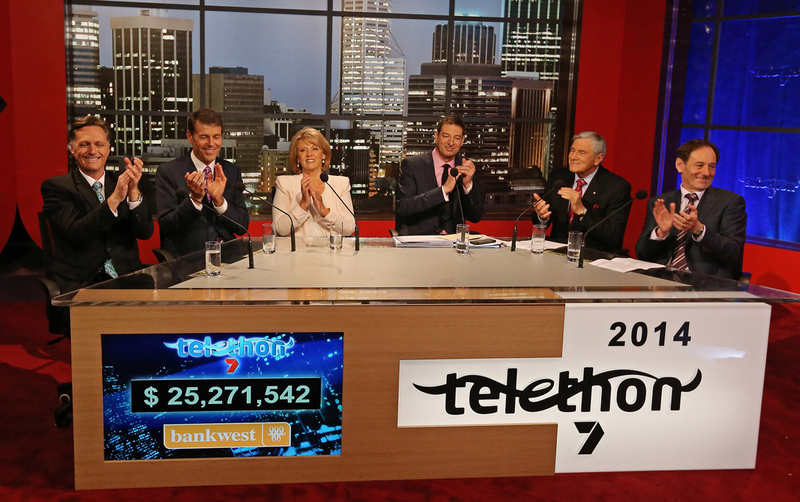 2017 Telethon starts in . 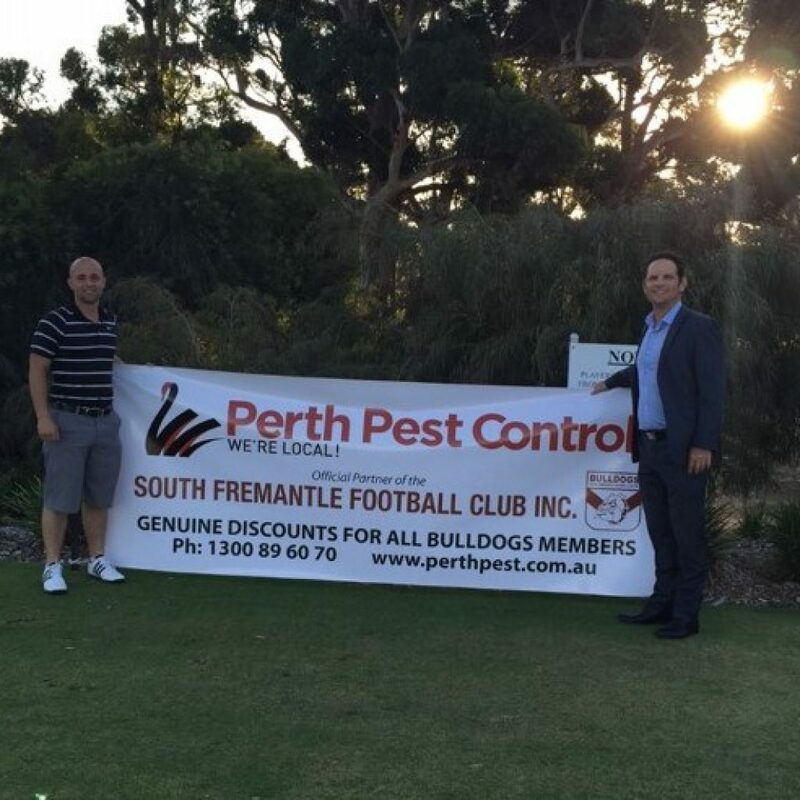 . .
Perth Pest Control are proud to be official partners of the South Fremantle Football Club. The directors of Perth Pest Control have been long standing supporters of the South Fremantle Football team and at a terrific golf day held by the club late last year, Perth Pest Control enjoyed sponsorship of the 10th tee and the photo shows Perth Pest’s Director Buddy Moyle alongside South Fremantle Football Club CEO Stuart Kemp at the beautiful Royal Fremantle Golf Club.